Harvel (population 235) is located in south central Illinois approximately 30 miles south of Springfield. Harvel has the unique distinction of being located right over a county line. The southwest half of Harvel is located in Christian County and the northeast half is located in Montgomery County. Illinois Route 48 is the highway that leads you to and from Harvel and the Norfolk & Western Railroad runs beside Route 48. The history of the Harvel School System is in need of research. The most modern Harvel High School building was built in 1921. The high school closed in 1947. The kids of Harvel now attend school in nearby Raymond as part of the Lincolnwood School System. There is no school in Harvel which serves the Lincolnwood system. 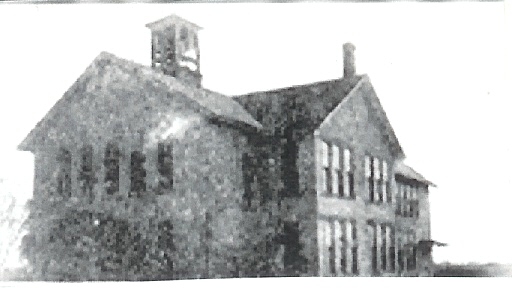 The fate of the original Harvel High School building is not known by the writer of this page. If you have this information we are hopeful you will send us an e-mail (eganann@sbcglobal.net). There is not a lot of information available regarding the sports program at Harvel High. The only sport found on the IHSA web site (www.ihsa.org) is boys basketball which won a District Title in 1939. We believe Harvel High School may have also offered boys baseball and track. If you have information including personal stories of Harvel High's history please share it with us. Harvel High School earned a District Chamionship plaque in 1939. Unfortunately the team's record and coach's name are not available. If you have information regarding this and other great Harvel teams we would be greatful to hear from you.